Steve Asmussen is a two-time Eclipse Award winner for leading trainer and was inducted into the National Museum of Racing and Hall of Fame in 2016. 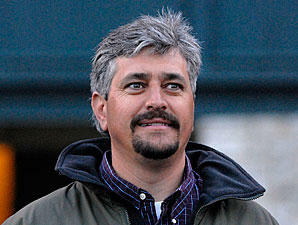 Born in South Dakota, Asmussen had a brief stint as a jockey before shifting his focus to training racehorses. His success has been amazing, with over 8,000 wins, including 190 graded stakes wins, to his credit. Only two trainers in the history of North American racing have reached the 8,000 win milestone. Steve has won three Triple Crown races (2007 & 2008) Preakness Stakes and 2016 Belmont Stakes and five Breeders’ Cup races. 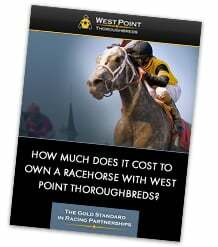 His top horses include Champions Curlin, Rachel Alexandra, Kodiak Kowboy, My Miss Aurelia, Untapable, and most recently Breeders’ Cup Classic and Pegasus World Cup winner Gun Runner. His parents, Keith and Marilyn Asmussen, operate a breeding and training facility in Laredo, Texas, and his brother, Cash Asmussen, was an Eclipse Award-winning apprentice in 1979 who went on to win five national riding championships in France.